Why Are You Living in Fear Or Intimidation? You have been promised victory through the power of the Lord Jesus Christ. You have everything you need to be an overcomer! ARE YOU READY? … To discover the spiritual power you've been missing? Are you ready to go to a new level. The Spiritual Warfare Ebook! … Over 100 Pages of Instruction on this vital subject. Available Now In Dowloadable PDF File Format. This EBook will help open your understanding, provide you with scriptural knowledge to begin releasing the power of God in your life. We all know we have access to Spirit and Power of God. He has given us the weapons and spiritual authority to become victorious. Yet, to often we Christians live under the influence of demonic spirits. ARE YOU READY? … Yes, we have a spiritual battle. The battle must be fought with spiritual weapons in a spiritual manner. 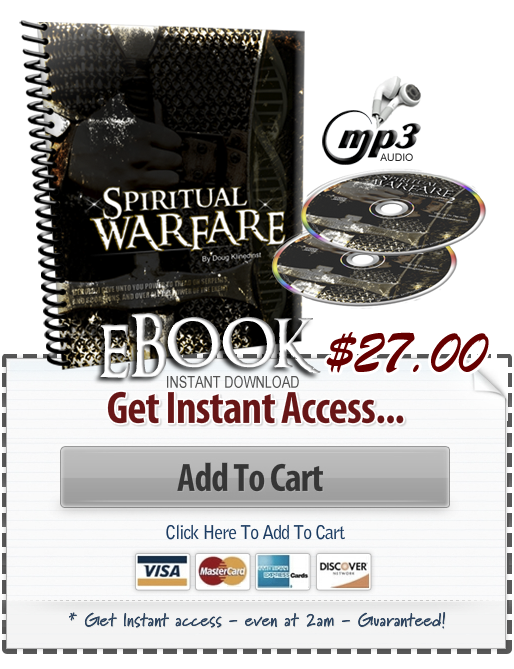 Here is just a few things you will learn inside The DNA Of Spiritual Warfare EBook. 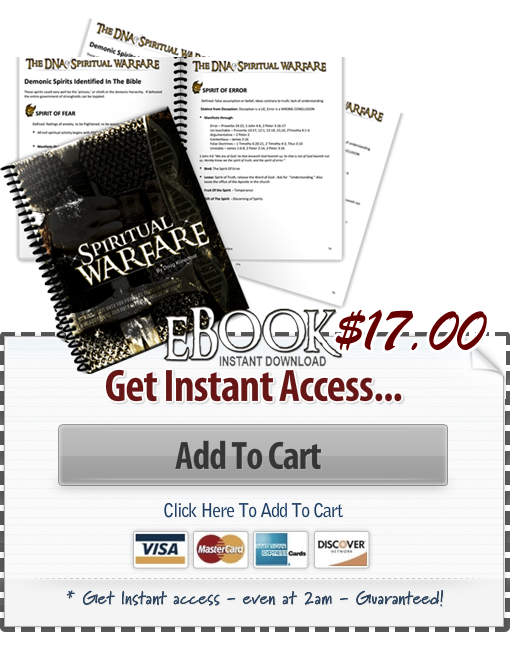 The Spiritual Warfare Ebook Package! … Over 100 Pages of Instruction on this vital subject. Available Now In Dowloadable PDF File Format. PLUS ...Two MP3 Files about an hour each. That's two hours of of spiritually impacting teaching! © 2012 Power Up Ministries — All Rights Reserved.